Hello, we are VERASTARR. A group of exceptionally passionate music lovers and audiophiles. We created this company to give others the opportunity to enjoy music like we do, accurate and lifelike. We believe cables to be a crucial part of a high end audio system. VERASTARR AudioFoils are designed to preserve the integrity of recorded music. Once the music signal leaves your source, all bets are off and high integrity cabling is crucial. Your sonic results are in the hands of the cable manufacturer. When using high quality audio equipment, much care was taken in the creation of your components. They are designed to reproduce the music accurately. This means when the signal leaves the source, the cable manufacturers job is to preserve the signal integrity exactly as it leaves that component, and all the way to the speakers. Cables or wires designed to carry electricity are not optimized to preserve musical signal. Some use high quality electrical wire with nice connectors for Hi-Fi cables. These will sound OK, though should you desire to have the utmost in fidelity, then use cables with special materials or construction optimized for musical signal. VERASTARR has concluded through many years of music cable design, that the best form for signal transmission is flat foil, not round wire. VERASTARR has also concluded that the use of extra high purity metal is necessary to preserve signal integrity. 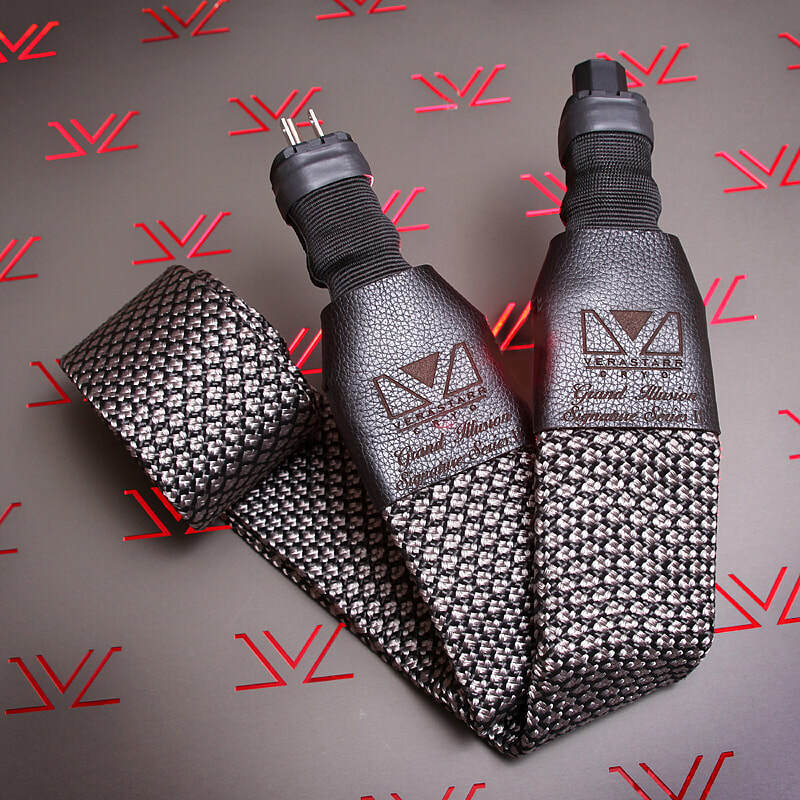 The Grand Illusion line of VERASTARR cables is made with our proprietary high purity metal foils and connectors. Furthermore we perform 2 special processes during the manufacture of our AudioFoils that improve the performance over standard high purity metal foil. Inside the cables we use a low loss dielectric (insulation) that has been treated to drain static electricity which is found in every home or office, especially around synthetic carpet. AC Power cables have additional features over signal cables in how they are optimized for Hi-Fi equipment. Without boring you with details, the way an AC power cord is constructed will affect how noisy a components power supply is. Noise on the power supply means noise in your components. Small noise. Noise outside of the human hearing range that if present will affect the music signal and alter it ever so slightly causing inaccuracies and degradation. You can think of our Grand Illusion AC power cords like noise filters. We actually do use noise filtration but it is passive meaning it is not in the power transmission path, which causes other problems. Our filters are activated by the electromagnetic field that surrounds an AC power cord and they pull noise off the line, by "sucking out" the damaging noise frequencies. We can not stress the importance enough of a well made audio power cable. It comes before everything.